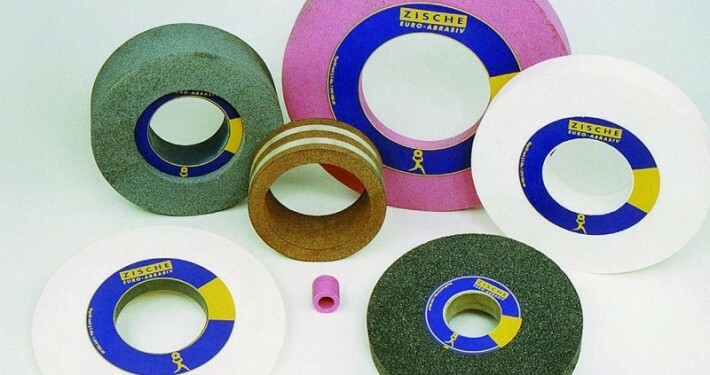 As a manufacturer of grinding wheels, we can draw on our many years of experience. For more than 150 years, we produce grinding tools of the highest quality. We manufacture customized precision grinding wheels made of aluminium oxide (corundum) and silicon carbide in vitrified bond and resin bond. 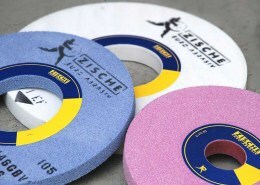 Every grinding wheel is individually adapted to your process requirements. We optimize your grinding process by using the right grinding wheel and always keep an eye on your cost and benefit optimization. The composition of each grinding wheel is determined by our technical specialists depending on your individual application. In addition to the dimensions of your grinding wheel, the grinding method used, the type and hardness of the material to be ground and other influencing factors play an important role in determining the right specification. The allowance, feed rate, infeed or the size of the surface to be ground are important parameters in grinding as well as the wheel speed and workpiece speed, the type of coolant or the dressing process. Together with you, we determine the right specification of the grinding wheel for your application. 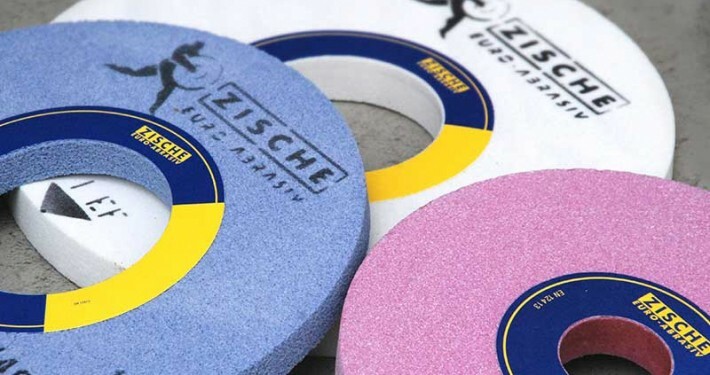 Taking into account the technical requirements and economic efficiency, we will optimise your grinding process together by using the right grinding wheel. Every grinding task is different. Different grinding processes such as surface grinding, cylindrical grinding or gear grinding have different contact zones between the grinding wheel and the workpiece. The wheel speed and feed rates vary as well as the hardness of the material to be ground. These and other parameters require the grinding wheel to be adapted to your individual application. The selection of the right abrasive grain, grain size, hardness, structure and bond of the grinding wheel ensures an optimum grinding result. In the following we offer you a brief overview of our grinding wheels, arranged along the various grinding processes. Whether flat grinding or surface grinding, profile grinding, cylindrical grinding (external cylindrical grinding, internal cylindrical grinding and centerless grinding), gear grinding or tool grinding – you will get the right grinding wheel from us. Our surface grinding wheels for metals, non-ferrous metals and tools have excellent bond characteristics due to structural pressing. In particular, the highly porous surface grinding wheels developed by us result in a cool grinding with high stock removal rates at the same time. For profile grinding, profiled grinding wheels are used to grind a defined profile on the workpiece. The profile shape of the grinding wheel corresponds to the negative profile of the profile to be generated on the workpiece. In diaform grinding, the profile of a reference piece is taken with help of a probe and then put into the grinding wheel with a dressing tool in order to create the profile in the grinding wheel. Surface grinding is widely used in industrial applications. In general usage, the term “surface grinding” often only refers to the process of horizontal-spindle peripheral surface grinding. This peripheral surface grinding with the grinding wheel’s circumferential surface as the effective surface is done in two variants: conventional surface grinding and creep feed grinding. In conventional surface grinding, the grinding wheel moves back and forth over the workpiece at a relatively small, stepwise infeed with high feed speed. Creep feed grinding, on the other hand, works with comparably high infeed and very low feed speed. However, surface grinding involves more than just this one process with its two variants. More information on surface grinding and the other process variants like side grinding (vertical-spindle grinding) or double side face grinding can be found in our “Grinding Knowledge” section. Cylindrical grinding wheels are manufactured for the different grinding process variants: external cylindrical grinding between centres, centerless grinding in plunge grinding and through-feed grinding as well as internal cylindrical grinding. We manufacture the grinding wheels individually for your grinding task. The specification of the grinding wheel depends on your individual the process parameters. With our external cylindrical grinding wheels, we can achieve significant performance increases in your process compared to conventional fine corundum grinding wheels by using sintered corundum grinding wheels (Sol-Gel-Corundum / 3M Cubitron™). 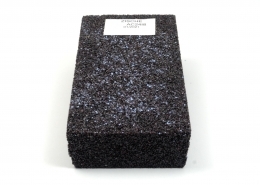 The sintered corundum abrasive grain has special self-sharpening properties. During the grinding process, new and sharp cutting edges are constantly created by micro-splitting, which ensures particularly good stock removal. Centerless grinding wheels are particularly wide and therefore require a carefully controlled pressing process. Our internal cylindrical grinding wheels are designed with specially developed bond types for this purpose. Depending on the application, we also manufacture our cylindrical grinding wheels in microporous and multi-layer grit sizes. 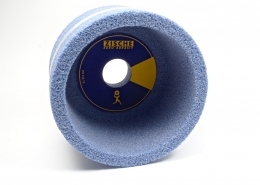 The grinding wheels are pressed in widths up to 250 mm with in-between compression. Grinding wheels in larger widths are manufactured as sets, if necessary also obliquely cut. Internal cylindrical grinding is mainly used for cylindrical or tapered bores, whereby traverse feed and plunge-cut (with radial feed) are distinguished. The contact zone between grinding wheel and workpiece is considerably larger in internal cylindrical grinding compared to external cylindrical grinding. The grinding wheels should allow cool grinding with high cutting performance at the same time. In external cylindrical grinding, the rotationally symmetric workpieces are mounted either on one side only or between centres. Depending on the feed rate, the grinding wheel works the workpiece either longitudinally on the circumference (traverse feed) or the grinding wheel is fed at one point radially to the workpiece until the finished dimension is reached during plunge-cut grinding (plunge-cut feed). In centerless grinding, the cylindrical workpiece is not mounted but supported by a work rest blade and guided between the grinding wheel and a regulating wheel. Centerless grinding enables high output quantities with short cycle times at the same time. A distinction is made between two variants: centerless through-feed grinding and centerless plunge-cut grinding (or in-feed grinding). Further information on the various cylindrical grinding processes can be found in our “Grinding Knowledge” section. Our pre-profiled worm wheels or gear grinding wheels are used in continuous generating gear grinding to grind gears or tooth flanks. The profile is brought into the vitrified bonded grinding wheel with help of diamond dressers in our special dressing machines. Our highly porous worm wheels meet the special requirements of tooth flank grinding and simultaneously achieve cool grinding with high profile retention. We use specially developed bonds for this purpose. At your request, we can supply the gear grinding wheels either unprofiled in cylindrical form or pre-profiled for your application. What is the difference between continuous generating grinding and discontinuous generating grinding? Gear grinding is divided into continuous generating gear grinding and discontinuous generating grinding. In continuous generating grinding, the profiled grinding wheel and the workpiece perform a rolling movement so that an involute shape is created on the tooth flanks. The grinding wheel and the workpiece are in continuous contact and the workpiece is moved along the grinding wheel. In discontinuous generating grinding, one or a maximum of two tooth flanks are processed simultaneously. The tooth flanks are processed individually one after another. The profile of the grinding wheel corresponds to the desired finished profile of the workpiece. Further information on generating gear grinding can be found in our “Grinding knowledge” section. Tool grinding wheels are used in tool grinding machines, saw sharpening machines and bench grinders / pedestal grinders for wet and dry grinding. For tool grinding machines we can access our stock of tool grinding wheels in different grain sizes, bonds and grinding wheel shapes. Saw sharpening grinding wheels for sharpening saw blades (e.g. circular saws, band saws, gang saws and chain saws) are manufactured with the appropriate profile for the tooth shape of the HSS or Stellite saw blades to be sharpened. We have placed the tool grinding wheels in a row with the grinding wheels for surface grinding, cylindrical grinding and cylindrical grinding due to their special importance. However, many tool grinding wheels, e.g. 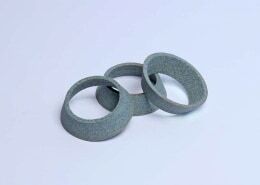 for graver grinding machines, mower knives or paper knives, are manufactured and used in the form of cup grinding wheels. Therefore, more information can be found in the section cup grinding wheels and grinding rings. The materials to be processed include unhardened and hardened steel, stainless steel, tool steel, high-alloy steel, cast iron, glass, concrete, non-ferrous metals (non-ferrous metals such as aluminium, copper, bronze, brass) or carbide. We manufacture grinding wheels for all grinding machines such as Aba, Agathon, Blanchard, Blohm, Buderus, Cincinnati, DANOBAT, Diskus, ELB-Schliff, Favretto, Fortuna, Geibel & Hotz, Gleason, Göckel, Haas, Höfler, Jung, Junker, Kapp Niles, Karstens, Kellenberger, Klingelnberg, Lidköping, Liebherr, Mägerle, Mikrosa, Naxos, Okamoto, O.M.D., Reform, Reishauer, Rosa, Schaudt, Studer, Tacchella, Tschudin, Waldrich Coburg or Ziersch. 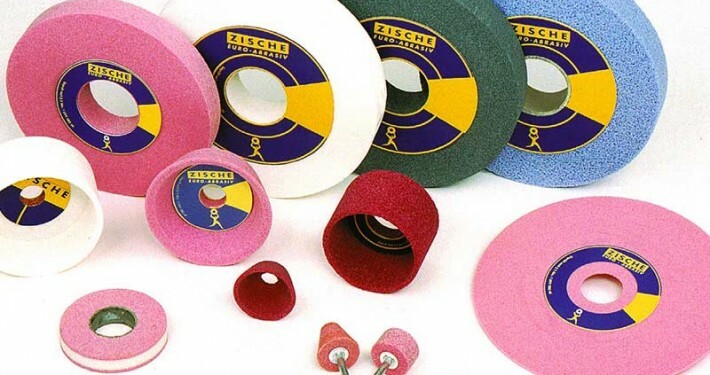 You want to learn more about grinding wheels and their application? Please feel free to call us or contact us by e-mail / contact form. We are looking forward to answer your individual questions about grinding and will be pleased to help you!